Signs Of The Times? Strange Dancing Lights Spotted In The Sky! - 2NGAW! Signs Of The Times? 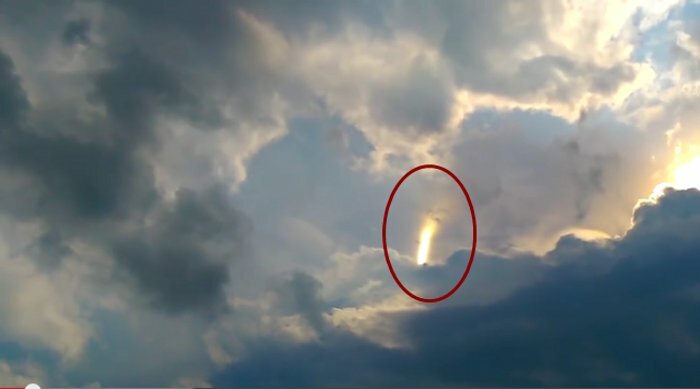 Strange Dancing Lights Spotted In The Sky! We’ve been getting a lot of weird sky-related news lately. Several weeks ago, we can all remember those viral videos that showed us unusual noises coming from the sky. Along with that, there have been several alleged UFO sightings across the world. Of course, some religious organizations are claiming that all of these apparitions are “signs of the times” and that the end is near. Science, however, has a different explanation for most of the phenomenon. A few days ago, WereBlog shared another video that has gained considerable online attention as of late. This one was taken by a guy riding a bike one day when he suddenly noticed some weird light beams in the sky. Naturally, he found the strange sighting to be very creepy and so he took out his camera and filmed it. The short video eventually made rounds on social media earning numerous shares and comments. As expected, many religious individuals claimed these are apocalyptic signs signaling the great destructions that precedes the predicted Second Coming. On the other hand, UFO enthusiasts think it is an extraterrestrial sighting. Aliens may be trying to contact us. So what do you think of these dancing lights? Are they really religious or extraterrestrial in nature? Or is it all just a natural scientific occurrence? Hit the comment section and feel free to share your opinion about this. In case you’re still wondering, here goes the video of the dancing light beams in the sky. See for yourself and do let us know what you think about it. The Real “Tungaw”: A Chicken Mite!